There isn’t a whole lot of descriptive material about Pluto, a fact which I find to be ironically clandestine and Scorpionic of the planet – keep everything regarding your infrastructure away from the public, so no one can use your information against you. Technically this is no longer a planet, but a dwarf planet, a re-classification symbolic of the potential danger of underestimating or degrading a sign like Scorpio. Pluto will come back stronger than ever, just to show earth how important he really is, but he will remain distant and unnoticed until he has decided it is time to seek revenge. One morsel of astronomical material the planet seems content sharing with the universe is that it is one third water and two thirds rock. The surface of Pluto is covered with ice and mountains, which is very similar to Scorpio’s heart; difficult to navigate due to the rocky terrain and frozen feelings (caused by a wrongdoing). These small factoids only reveal a slice of the zodiac’s Scorpion. To better comprehend such an incomprehensible sign, we need to look not to the sky, but the mythic world below. In Greek mythology, Hades (Roman name Pluto) ruled the underworld, but he was also the god of wealth. In astrology, Scorpio rules the 8th house, which is the house of many dark uncomfortable things like secrets, taboos, and shadows of your unconscious, but it is also the house of other people’s money. It opposes Taurus and the 2nd house, a sign and house concerned primarily with material possessions and personal resources. 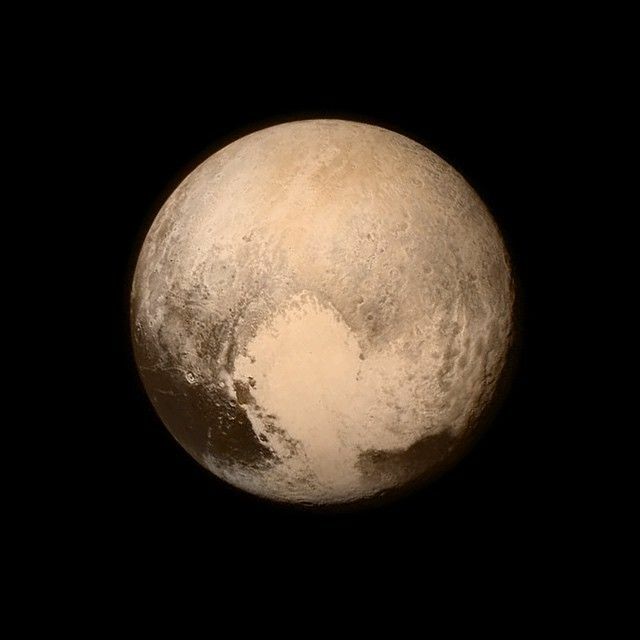 To Pluto, money is meaningless in the afterlife, for there is no room for possessions in the underworld. Pluto has Scorpio seeing the value of the emotional and psychological riches (like shadows) as opposed to a person’s monetary status. They don’t care if you are loaded or broke, but it is crucial for you to have a story and a past. Hades was given a helmet that when worn made him invisible. This can be likened to Scorpio’s infamous composure. We can look at the helmet as being a mental/psychological shield that keeps unwanted foes from penetrating Scorpio’s secrets and feelings. Pluto is a secretive influence, and provokes an intrinsic protective drive in many Scorpio individuals, which is why so many of them are guarded and untrusting; they want to be invisible to you so they can navigate the alleys of your mind and heart to penetrate the ego and learn the deeper motivations of your character. The helmet of invisibility is Pluto’s gift to Scorpio; it allows them to become investigators of the unconscious, but it is also part of their interest in the mysterious and taboo. Scorpio finds the invisible intriguing. One of the more fascinating myths starring Hades is that between the God and Persephone. Hades abducted, and in some stories raped Persephone, and brought her down into his gloomy dungeon, whereupon he tricked her into eating a pomegranate so that she would die and be forced to live in the underworld with him. This is a fully loaded story, but one of the more obvious symbols is the manipulation. Many Scorpios employ tricks and games in order to prove the worth of their potential lover or friend. What the myth reveals is the strategist that exists inside every Scorpio. Hades acted on his passion, his lust for the beautiful Persephone, but he was strategic in that he didn’t just decide to rig a booby-trap one day. Instead, he studied Persephone and learned how to make her vulnerable, and then his possession. And when she entered the underworld, hungry and scared, she bit into the pomegranate, completely unaware of the consequence, because it was omitted by Hades. In Scorpio’s penetrating eyes, you must go through a rite of passage from former mortal and inhabitant of the world above to someone whose life exists in the shadows to prove that you can handle the gravity of their affection. Scorpio, quite like Hades has a deep, dark, and sacred love that they will only share with someone who has passed the test, someone who is just as scarred, broken, or obscure as the Scorpion. But Persephone’s own transformation from goddess of the harvest to goddess of the damned is yet another facet of the Plutonian person. When she ingested the fruit that would condemn her to darkness, she was finalizing her fate and completing the cycle of death and rebirth; a task many Scorpios must face. She sacrificed her life for a new one. Transformation and renewal are the bigger picture motivations lurking inside every Pluto native; but it is up to them to encounter their fears, accept their shadow, and bite into the thing which will lead to their metamorphosis. I was fearful diving into the psychological depths of such a titanic planet and sign, mostly because I was afraid of the Scorpio backlash that was likely to occur should I mess it up. But taking a page out of Pluto’s book of the dead, I faced my fear and brought some transformative information into the land of the living (at least I hope I did). Do you have anything to add? Let me know your thoughts on Pluto and Scorpio in the comments below!